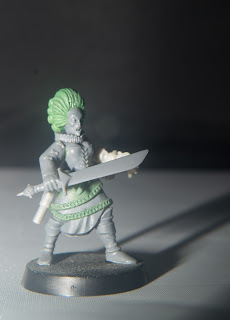 I think Lady Margarite de la Croix was the second character I made back in 2013, but I think she was more kit-bashed than Earl Everett but I tried to work with more intricate detailing for the first time. Lady Margarite de la Croix is a cold-hearted sociopath who is currently marriage-bonded to Earl Everett due to an ancient concordat between the de la Croix and Widdershins noble families. 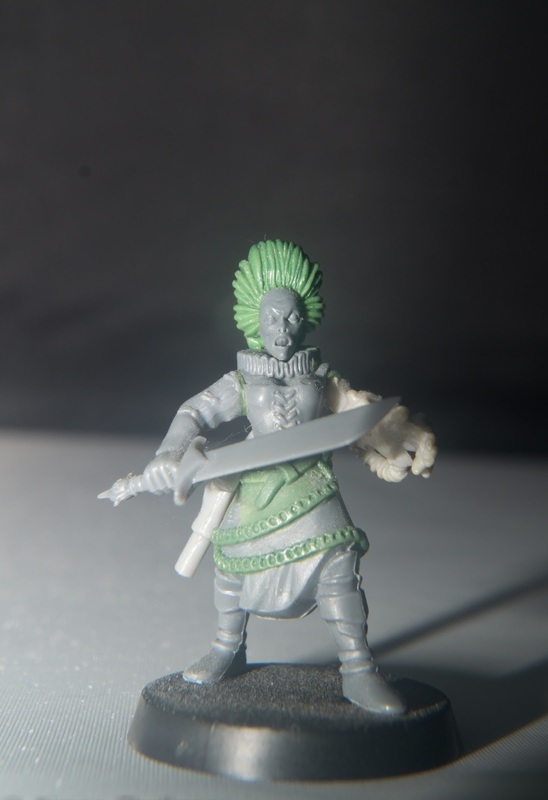 Lady Margarite despises being shackled to a man she loathes and is always finding ways to 'dispose' of him and secure command of The Coelacanth. 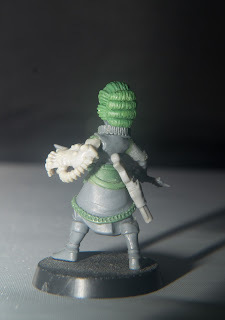 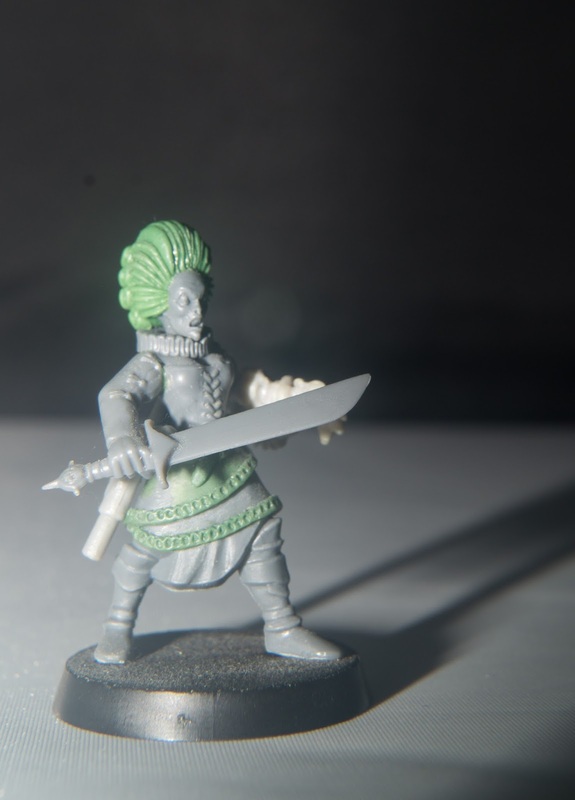 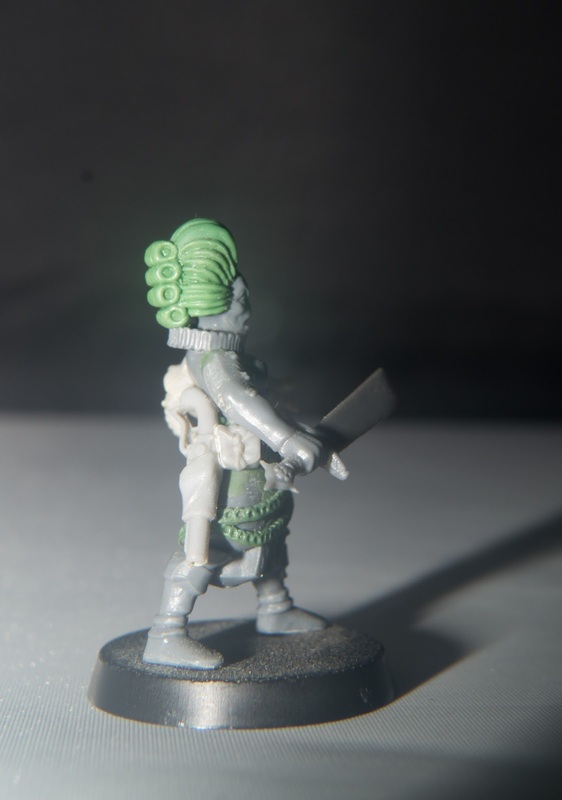 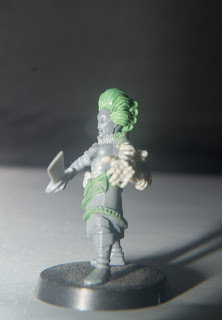 Going to be honest, I didn't think too much of this mini until I saw her from every side. Great concept and excellent greenstuff work, especially the back of the hair.